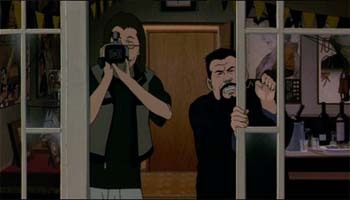 Satoshi Kon is a highly regarded anime director. His unique directorial style can captivate people, and the experiences they have with his movies are unlike any other. Let's look at the works of this great director. There aren't many directors that make sure the viewing experience is just as important as the story it's conveying. There aren't a lot that push the viewing experience to great new heights, while still delivering strong themes and wonderfully developed characters. Satoshi Kon did all these things. He takes the audience on an amazing ride, wherein the lines between fantasy and reality are blurred, and the captivating stories can instantly draw you in. Sadly, this director has passed on but his movies are still strongly influencing people. His movies continue to entertain audiences, and give them an experience unlike any other. Kon's style is always taking advantage of the animation medium. His stories blur the line between dreams and reality, past and present, and unsettles the viewers while establishing scenes that stretch the capabilities of the imagination. His works starts out directionless at first, but everything slowly aligns and every single scene serves a distinct purpose. 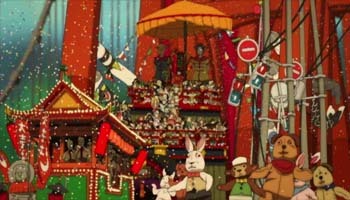 Kon always employs subliminal scenes and confusing transitions to strengthen his themes of blurring fantasy and reality. His style is so effective that, despite making only four films and one series in his entire career, his legacy as a great director is firmly cemented. 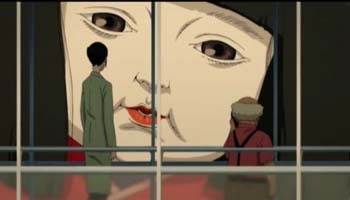 Let's us take a look at the works of the great Satoshi Kon. His first movie is called Perfect Blue. It's about an idol named Mami transitioning into an actress, but the stress of her life slowly gets to her. She loses her grip on reality, and the audience shares her emotional downward spiral. It culminates in a scene where Mami believes her "other self" is committing the murders that follow her. Perfect Blue is a wonderful mindtrip, because the straightforward story of an idol exploring a new career turns into a one about stalkers and murders. Kon's style is prominent as you see Mami's mind slowly give in to the stress she is under. 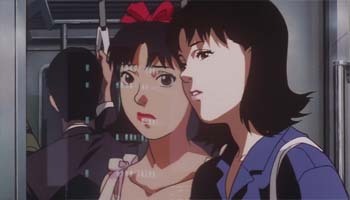 Perfect Blue is such a strong piece that the movie Black Swan takes inspiration from its story. 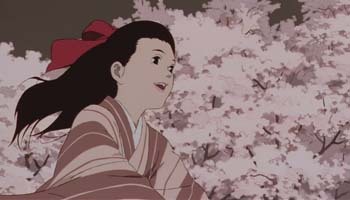 Kon's style of subliminal scenes and sudden transitions is something he fully mastered in his next movie, Millennium Actress (Sennen Joyuu). It's about two news reporters interviewing an actress named Chiyoko Fujiwara, and the story of her life is presented in the movies she starred in. Fantasy and reality blur when the reporters are transported into the movies Chiyoko starred in, and the moments of her life are told through snippets of various movies. The storytelling is amazing, because it confuses the audience with its transitions, but Chiyoko's life story is still something that is considerably relatable. All her hardships and triumphs are told in a vibrant cinematic manner. The movie is so great that it even established a dramatic moment using subliminal scenes of a rocket taking off with the actress inside it. For his third work, Kon wanted to try something more comedic. 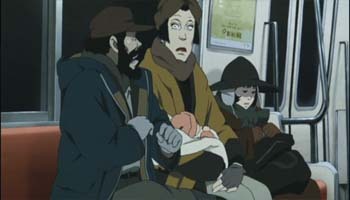 Tokyo Godfathers is about three homeless people trying to return a baby to her parents. While this movie is grounded in reality, Kon's masterful storytelling still persists. He employs flashbacks with his stylistic transitions, and it creates a story about a bunch of wonderful characters the audiences can relate to. Their adventures trying to return the baby isn't as simple as it looks though, because the movie employs "coincidences" to make the story unique. An example of this would be the characters finding milk and diapers left at the cemetery to help take care of the baby. Tokyo Godfathers is a heartwarming Christmas movie told in Kon's unique style, and it's something that can leave a smile on your face. Kon's next work is his very first attempt at a regular series. 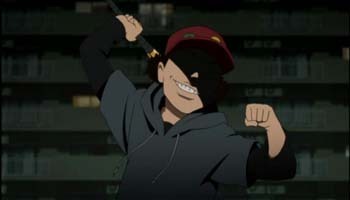 Paranoia Agent (Mousou Dairinin) is about a serial killer named "Lil' Slugger", a kid in rollerblades killing people with a bent baseball bat. Two police detectives try to solve the case, and it leads them to a suspect named Tsukiko Sagi. The case then transforms into something supernatural all leading back to Tsukiko. Kon really went all out with this series, as he employs all the things he has done in his previous works. 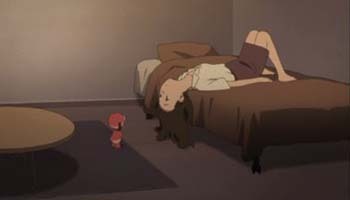 The grounded story as the base, the blurring of fantasy and reality, and his expertise in transitioning makes Paranoia Agent an incredible ride from start to finish. His last work is the movie Paprika, and the seasoned director really poured his all into this movie. He made his own style complex, while still staying true to it. His theme of fantasy and reality also becomes the centerpiece of this movie, because the film is about dreams coming to life. It's a literal fantasy and reality coming into one, and it is perfectly illustrated by the amazing climax. Kon unleashes a visual cinematic experience that slowly transforms into an amazing story about dreams. 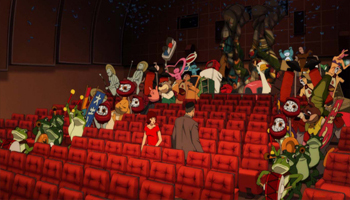 Paprika is so influential that it inspired the concept of the movie "Inception", another film that focuses on the topic of dreams. Unfortunately, Kon's long battle with pancreatic cancer prevented him from finishing his fifth feature film. Dreaming Machine is supposed to be a movie about robots, but productions has stopped after Kon's passing. His final movie might never see the light of day, but his incredible love for animation and cinema in general, can still be felt in all of his existing works. The passion and dedication he gave to his movies is something unique, and the experience he gave audiences is one few auteurs will ever be able to match. Satoshi Kon is an amazing director and, even after his passing, he still lives on through all the great works he has shared with the world.